NEW Stand Strong Balance Program! Falls are a major health concern among older adults. Don’t let the risk of falling stop you from leading an active and independent life! 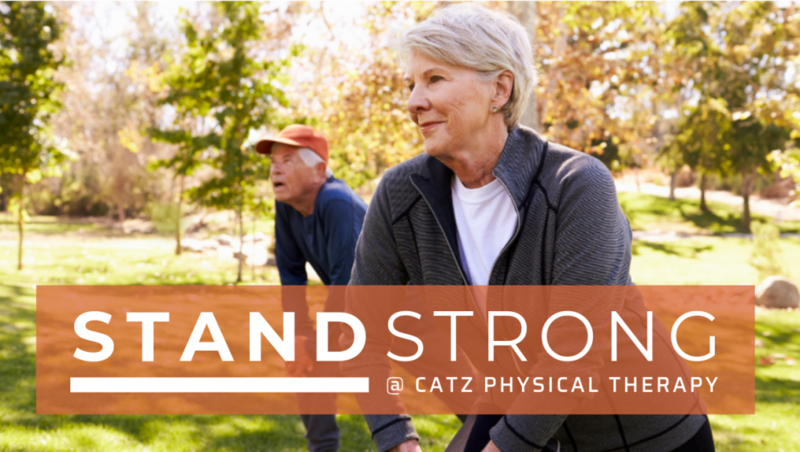 Our NEW program–designed by our Physical Therapist, Kimberlee Butler–focuses on balance training and fall prevention for seniors, 65+ years of age. Increase your confidence in your balance and prevent falls! Factors such as advanced age, certain medical conditions, joint pain or arthritis can increase your risk for falls. If you are worried about falling, have had loss of balance, or have had a fall, our program will help you regain your confidence.